Das Reizdarmsyndrom (RDS) ist eine Erkrankung des Verdauungssystems, bei der die Funktion des Darms gestört ist. RDS kommt häufiger vor als gedacht und die Ausprägungen sowie der Verlauf sind stark unterschiedlich. Bis zu 20% der Bevölkerung können betroffen sein, die Rate der betroffenen Frauen wird ca doppelt so hoch wie die der Männer eingeschätzt. RDS ist gekennzeichnet durch Symptome wie Schmerzen im Bauchraum, Durchfall, Verstopfung, Blähungen und das Gefühl der unvollständigen Darmentleerung. Bei schwerem Verlauf der Erkrankung rücken die Darmbeschwerden in den Mittelpunkt des Lebens und schränken die Lebensqualität stark ein. Bei einigen Betroffenen geht dies so weit, dass sie sich nur mehr in der Nähe einer Toilette aufhalten können. Irritable Bowel Syndrome, or IBS, is a chronic problem that affects the digestive system and its functions. If you are a sufferer, you are not alone. IBS is estimated to affect up to a staggering 20% of the UK’s population. 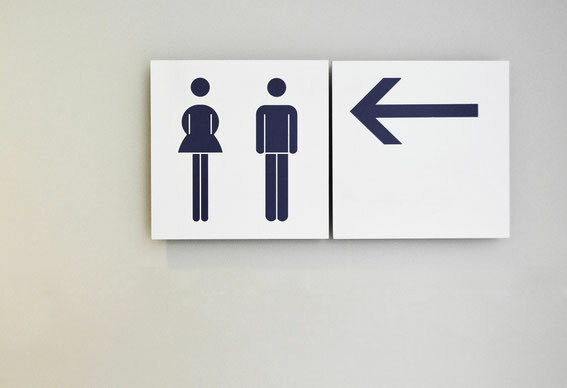 About half of people with IBS consult their GP and 20% of these are referred to a consultant. IBS is not a specific disease but understood to be a multi-factorial condition with a variety of factors contributing to its expression. Anybody can develop IBS, at any age, but women are more likely to develop the condition than men, and it often develops initially in young adults. Symptoms can vary from person to person but commonly include bloating of the abdomen and abdominal pain, accompanied by altered bowel habits such as constipation or diarrhoea but the symptoms can be more wide ranging than this such as lethargy, nausea, food sensitivities and anxiety. It is important to consult with a GP and have a diagnosis of IBS confirmed, and to rule out other conditions such as coeliac disease and inflammatory bowel disease. The rise in IBS symptoms could be link to a number of complex reasons. Important factors to consider, which may lead to and maintain the symptoms of IBS, are dietary and genetic factors, psychological dysfunction, hormonal imbalance and infection and inflammation. It is often noted by patients that stress exacerbates their IBS symptoms. However the cause of IBS still remains unclear. Take time to relax - mediation, relaxation tapes, yoga, aromatherapy or massage are useful relaxation tools. Exercise - studies have shown that being active can decrease the severity of IBS symptoms. This could be taking a 20 minute walk each day, cycling to work or having a swim in the local swimming pool. Maintain a good work-life balance – Dedicate time to yourself and activities that are fulfilling and rewarding and prioritise the to-do list, rather than struggling to complete it all! Take time to eat meals – chew your food well! 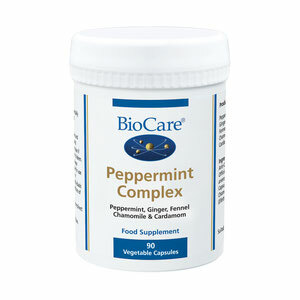 Peppermint oil is commonly used to help reduce wind production and to ease abdominal cramps. ‘Live Bacteria’ - studies have shown that supplementing with a probiotic daily, to top up the levels of ‘friendly’ bacteria in the gut can reduce symptoms of IBS. 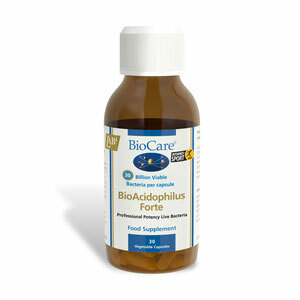 A specific group of friendly bacteria called Lab4 have been proven to reduce the severity and duration of pain and bloating in IBS patients but also to improve bowel habits and therefore quality of life. 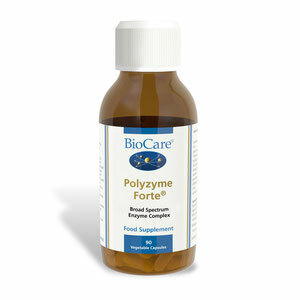 Digestive enzymes may help to relieve symptoms by improving absorption and supporting the patient who is unable to rest and digest during mealtimes. 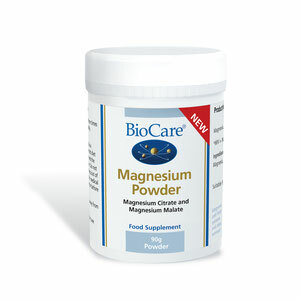 Magnesium normalises nerve transmission so can help with the relaxation of muscle to reduce spasming and improve constipation. Ginger aids digestion and motility and also acts as an anti-bacterial agent. Having IBS doesn’t mean having to suffer. It’s not always possible to avoid IBS triggers but understanding what sets it off can help to manage it. Everyone is different and it’s all about finding what works, and how to live life symptom free. Jones et al. British Society of Gastroenterology guidelines for the management of the irritable bowel syndrome. Gut. 2000; 47 (Suppl 2): ii1-ii19. Agrawal, Whorwell. Irritable bowel syndrome: diagnosis and management. BMJ. 2006; 332: 280-83. Barbara et al. New pathophysiological mechanisms in irritable bowel syndrome. Aliment Pharmacol Ther. 2004; 20 (Suppl 2): 1-9. Halmos et al. Gastroenterology. 2014;146(1):67-75. Williams et al. Clinical trial: a multistrain probiotic preparation significantly reduces symptoms of irritable bowel syndrome in a double-blind placebo-controlled study. Aliment Pharmacol Ther. 2009; 29 (1): 97-103. Smith A et al. Effect of a synbiotic on microbial community structure in a continuous culture model of the gastric microbiota in enteral nutrition patients Microbiol Ecol (2012) 80; 135–145. Jakolev et al. Pharmacological investigations with compounds of chamomile. II. New investigations on the antiphlogistic effects of (-)-alpha-bisabolol and bisabolol oxides. Planta Med. 1979; 35: 125-40. Wang et al. A metabonomic strategy for the detection of the metabolic effects of chamomile (Matricaria recutita L.) ingestion. J Agric Food Chem. 2005; 53: 191-6. Platel, Srinivasan. Influence of dietary spices or their active principles on digestive enzymes of small intestinal mucosa in rats. Int J Food Sci Nutr. 1996; 47 (1): 55-9. De-Souza DA, Greene LJ. Intestinal permeability and systemic infections in critically ill patients: Effect of glutamine. Crit Care Med. 2005 May;33(5):1125-35.